You understand and acknowledge that Crypto Advisory | VIP provides a culmination service of established Telegram and other platform "signal" providers and shall not be held responsible for any trading losses, financial or otherwise, and that signal dissemination via Telegram and other mediums do not constitute the provision of financial advice: Crypto Advisory | VIP are not financial advisers. You understand that the cryptocurrency market is still in its infancy, is inherently volatile, and investing carries commensurate risk. 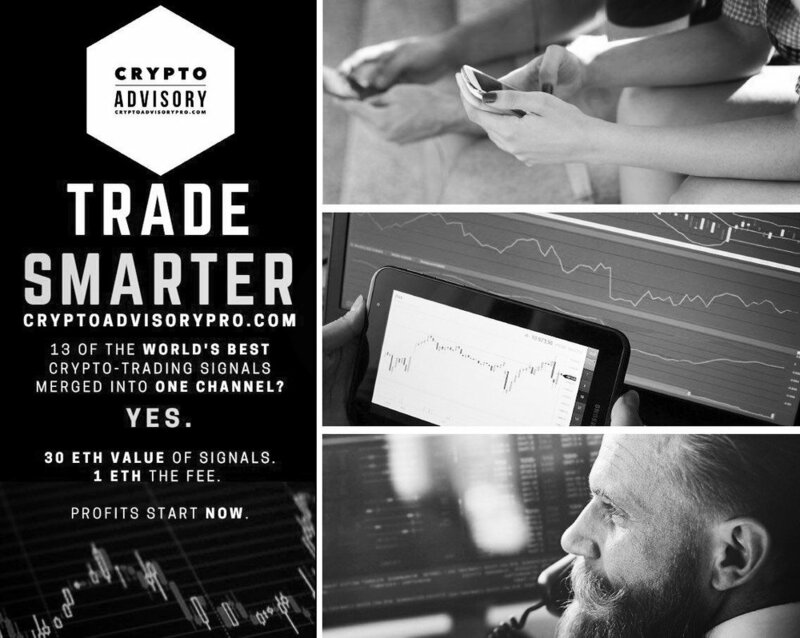 By registering to receive signals sourced and forwarded by Crypto Advisory | VIP, you are subscribing to a Telegram Channel through which trading signals or recommendations (on the basis of technical analysis, fluctuation trends and market developments) are merely disseminated. You agree to conduct your own research prior to investing into recommended trades and agree to hold Crypto Advisory | VIP harmless from and against all losses, damages, costs, charges, fees, or other expenses or liabilities of any kind or character arising out of or relating to any and all claims or causes of action of every kind and character in connection with subscribing to Crypto Advisory | VIP and its services. You acknowledge and agree that you hold Crypto Advisory | VIP harmless against any claims of loss, reliance, claims of guaranteed returns on investment and/or any other claims for monetary loss or financial damage. You understand that Crypto Advisory | VIP makes no warranties or guarantees on the future viability of its service and that you have read, understood and had an opportunity to seek advice with regard to the information on this website (www.cryptoadvisorypro.com) and the Frequently Answered Questions (FAQs) section thereof and agree to use its services on an as-is basis.